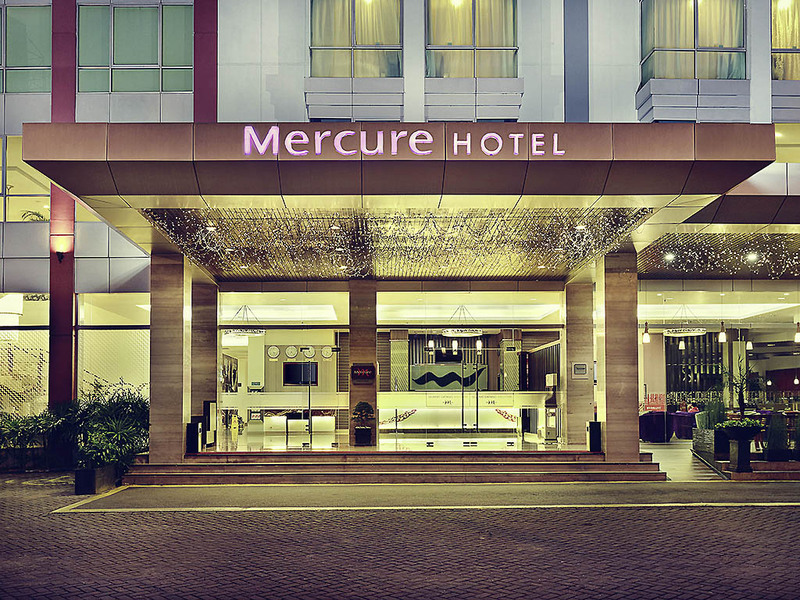 With its spacious 265 rooms in a contemporary and relaxing design, Mercure Pontianak Hotel in West Kalimantan has set a of new standards for services, style and comfort. A perfect location for business and the only Accor hotel on Equator. For business travelers in need of a place for seminars, conferences, weddings and exhibitions than can accommodate up to 600 participants, modern decorated ballroom and smaller meeting rooms with complete audio visual equipment are available. The hotel has a strategic location, very close to the business centre, the State/Provincial Governor Office, Museum of West Kalimantan, Kapuas River, Equator Monument and adjacent with the biggest shopping mall complex in town, Ayani Megamall. Choose from the different types availabe: Superior Room, Deluxe Room, Deluxe Suite Room and Junior Suite Room with City View and pool view. A modern and contemporary design with a stunning open kitchen serving a selection of Asian, Western, and authentic Indonesian cuisine where guests can experience a 'live' culinary act. Jag tycker om hotellet Fakulteten för att det ligger nära skogsvetenskap, Tanjung Pura Universitet. Sammanfattningsvis var rummet rena och trevligt. Men ibland kunde jag höra ljudet från utanför rummet. Jag tycker om att deras anställda var mycket vänliga och hjälpsamma.